We have also seen the terrible effects of the recession in recent months: redundancies, house repossessions, company bankruptcies. The face of the High Street in the UK has changed forever. Individuals may have seen the worst from all sides: loss of a job; loss of a house; loss of savings income. Hopefully there are very few in such a dire situation. Nevertheless, for anyone who has lost their job the prospect of a new job will seem remote. For those still in employment, these are nervous times, as no one can guarantee that their job – or even the company they work for – is safe. However do not despair, there is some hope. If you have been made redundant or think there’s a possibility, then why not try to beat the recession by working from home? If you’re already out of work, or even if you’re in work – start thinking about starting a business from home. Standard arguments may arise: if big companies can’t survive a recession, how could a small one? If there are less companies about and less people working, who is going to want my services? What do I know about starting a business? Big companies find it hard to survive a recession because they often have large borrowings and numerous creditors. 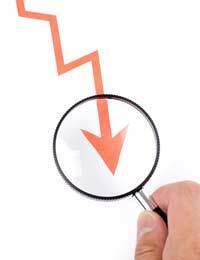 If the creditors struggle, it can become a downward spiral for the company. Small companies do not need to get themselves into that position. With less companies about, there could easily be a demand for your services if you provide the right ones. The big company has gone; who’s going to fill the gap? Yes, if less people are working, the economy struggles, but if you provide a quality service for the right price, then you can be a success. What do you know about starting a business? Maybe not much, but you are here, and that’s a start, and there are many resources provided by sister sites of this one that can help you. Do your homework! Cash flow means having enough money to run your business at any time. It is not the promise of money in the future, while you can’t pay your current bills. It is having money available – NOW. if you start a business in the bad times, and survive, imagine how good the good times could be! It’s the key question. What business can you run from home? If you can match the first two up, that’s good, but the real key is the third point: what is your passion? What are you passionate about? What drives you? What makes you tick? The answers to these questions are going to see you through and help you make a successful business, because, if you’re passionate about something, you will believe in it, and you will strive to make it work, even when the going gets tough (and it is tough in a recession). Look to your passion to help identify the business that you make work. Building your business at home will have even greater benefits.